This is where we'll list other banded agates and miscellaneous materials. 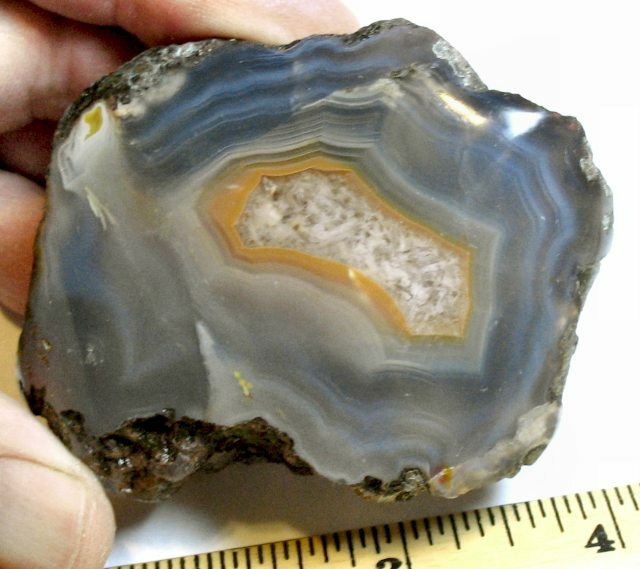 Occasionally we'll offer Keswick (Iowa) agate, Kentucky agate, Oregon, Colorado, and New Mexico thundereggs, Botswana, or Argentina agate. 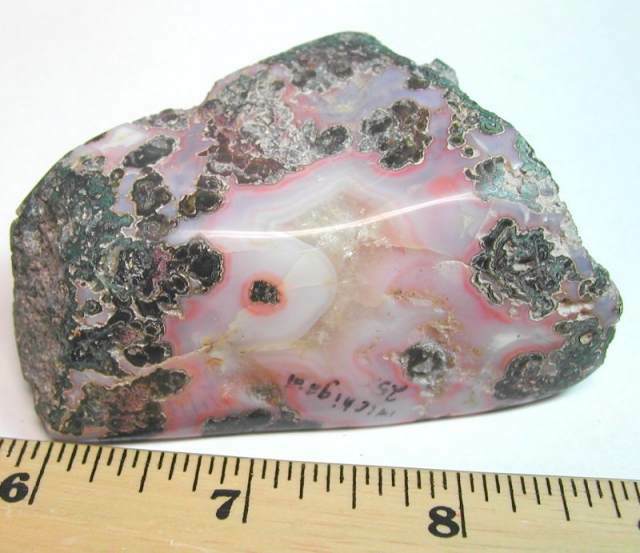 Maybe even an occasional plume or rhodochrosite. And spheres! 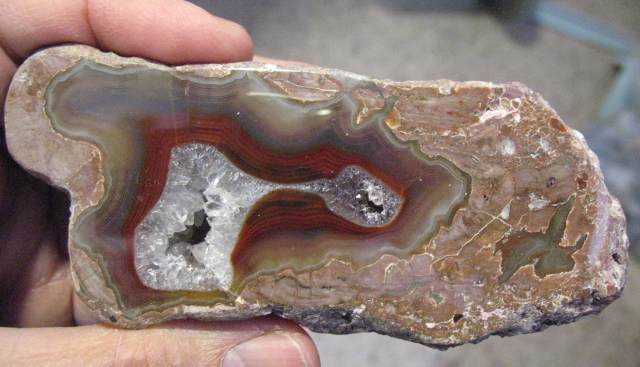 Some agates will be polished, some unpolished. 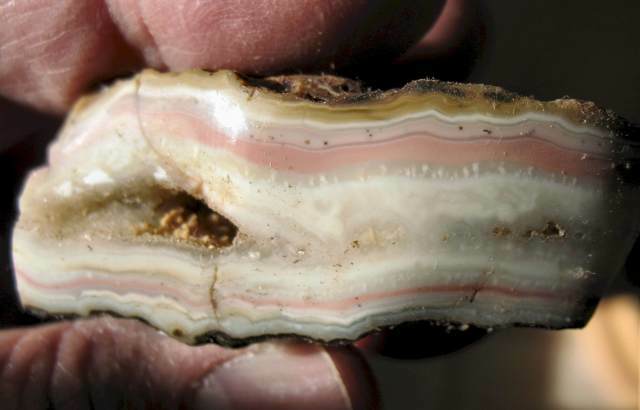 Note: we may on occasion give the agates a coat of removable mineral oil in order to bring the color and pattern out in photographing. #ABAK1. 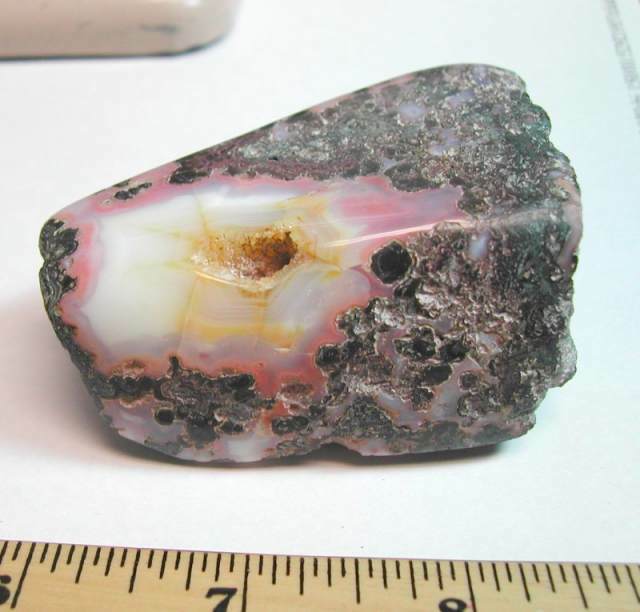 Nice Baker Ranch half nodule with polished face. 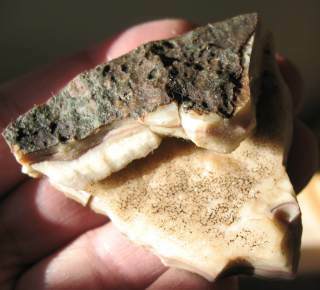 Good size, Baker Ranch geodes and nodules are from a dig southwest of Deming, NM, near the border with Mexico. 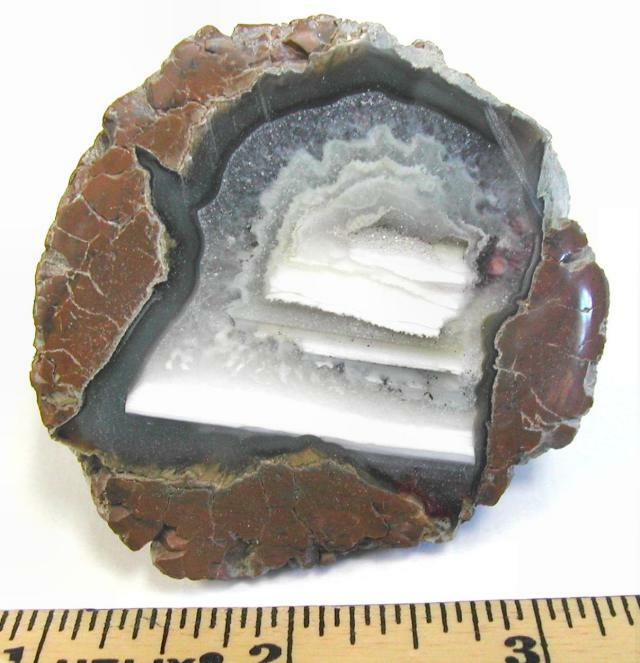 Colors are usually red, black, white, pink, gray, and sometimes have nice crystal-lined geode cavities. 4.75" x 1.75" x 1.5+", 10.3 oz. $30. #Priday1. Great Priday Ranch (Oregon) thunderegg half, polished. 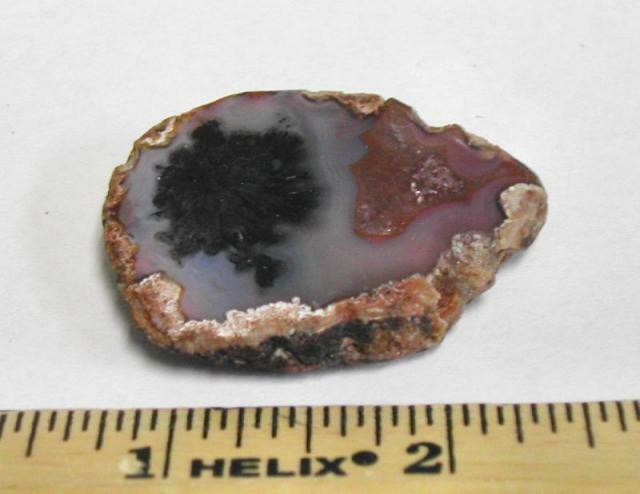 Nice lacey agate with water-level onyx bands too. 2-1/4" diameter. $8.00. #Priday2. Another one from Priday, this one is a double egg. 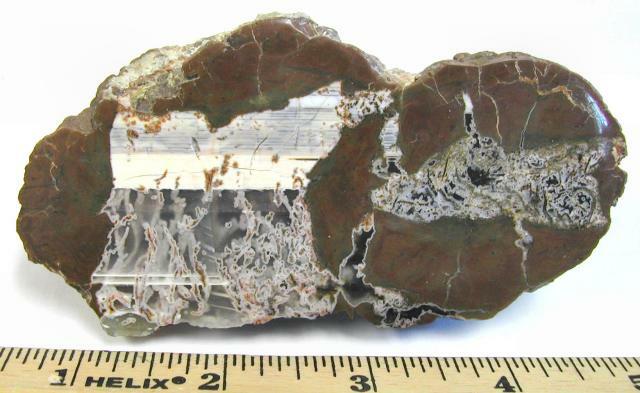 Shows some interesting filaments in the agate, sort of a plumey moss. 4-1/4" x 2". $15.00.